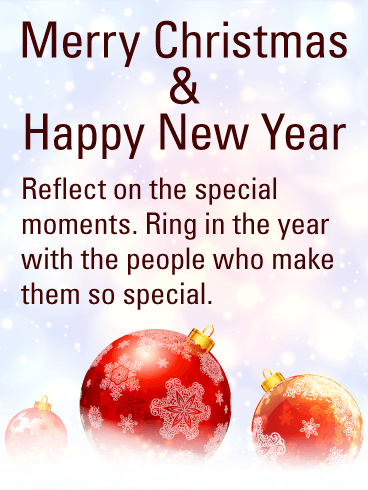 The holiday season is a time to celebrate, enjoy each other's company, and make new memories. 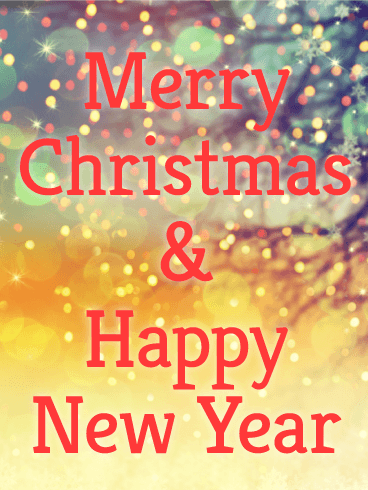 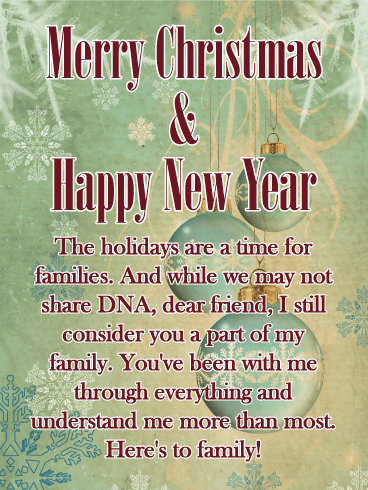 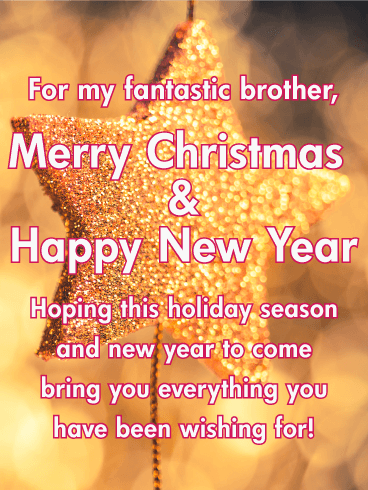 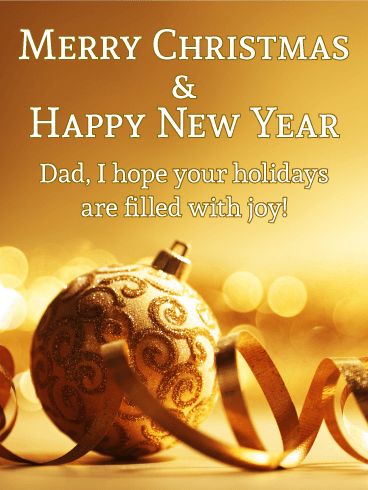 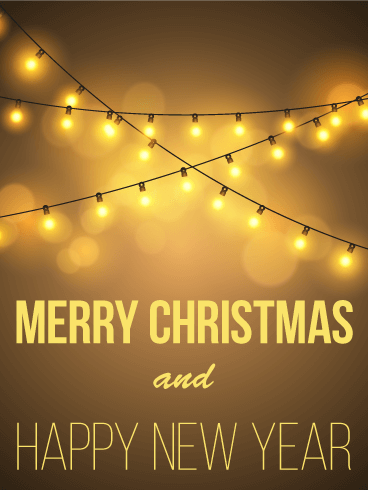 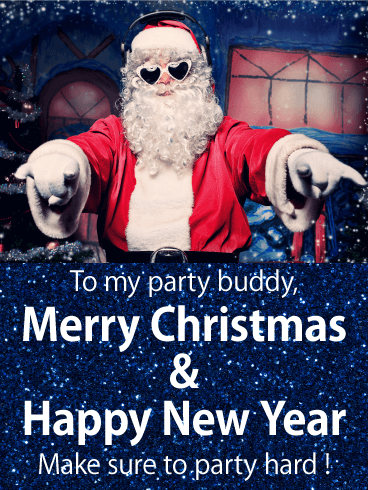 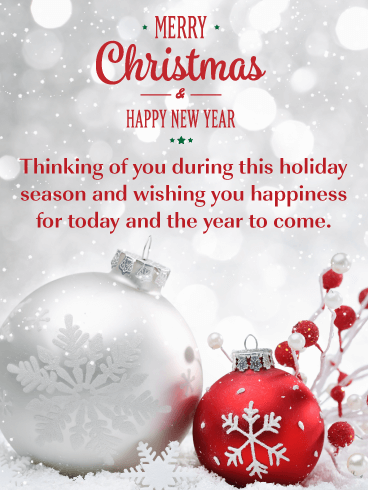 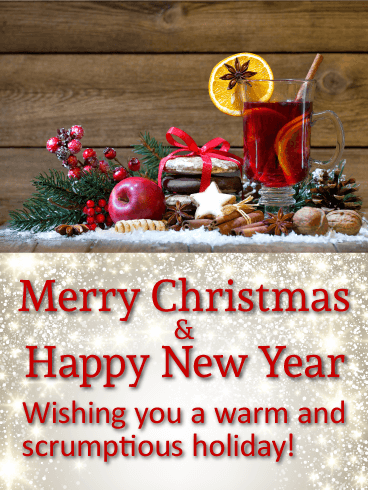 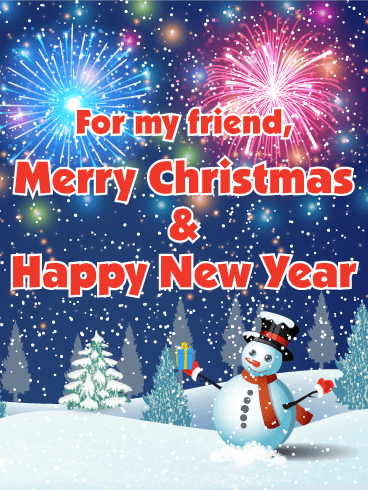 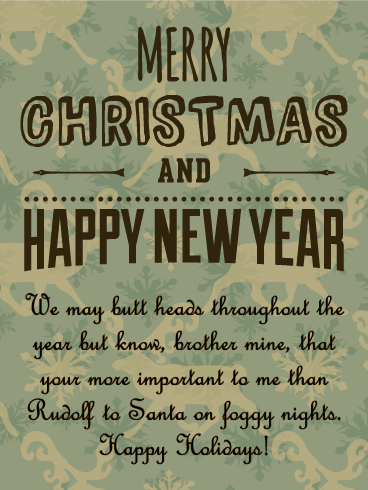 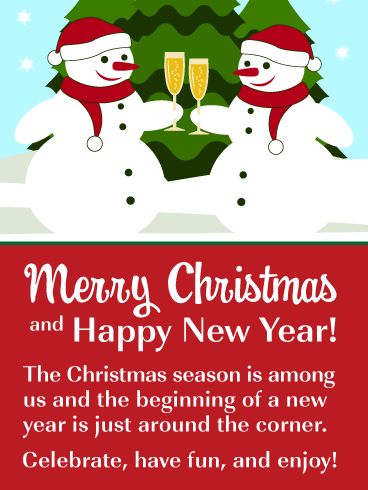 That’s why this Merry Christmas and Happy New Year card would be perfect to send out to your friends and family this year. 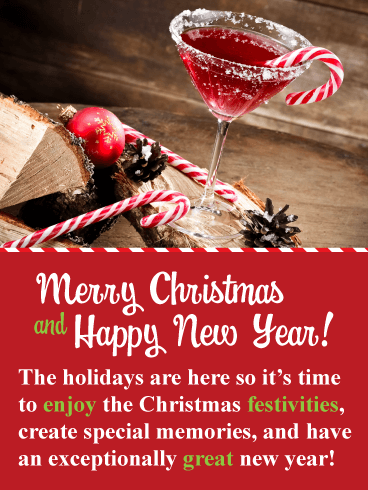 It features a fabulous Christmas drink, complete with a candy cane. 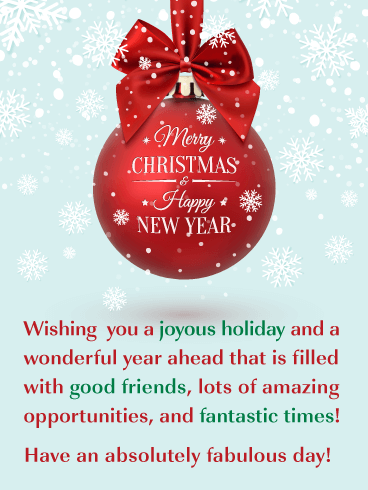 A Christmas ornament can be seen, as well as winter pine cones! 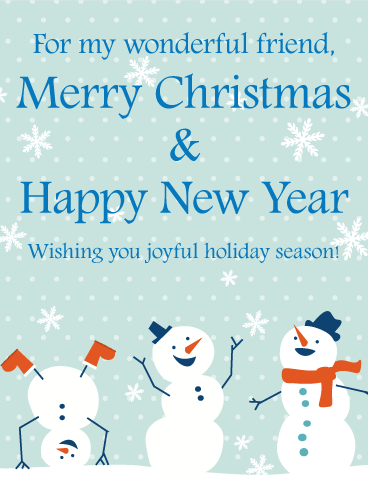 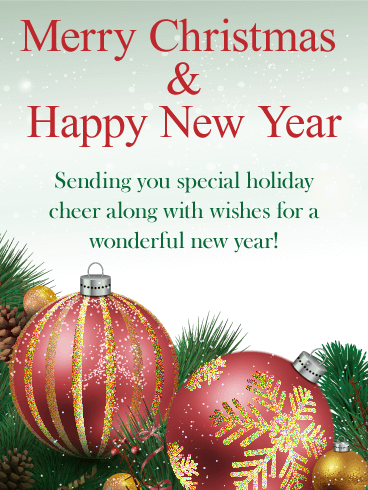 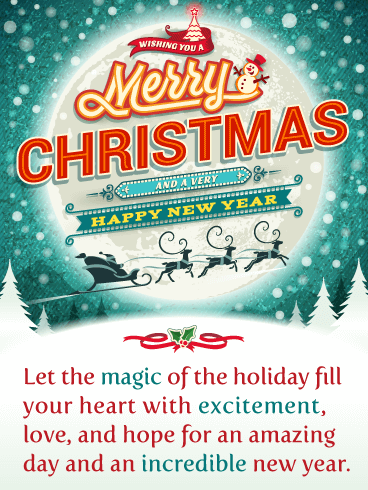 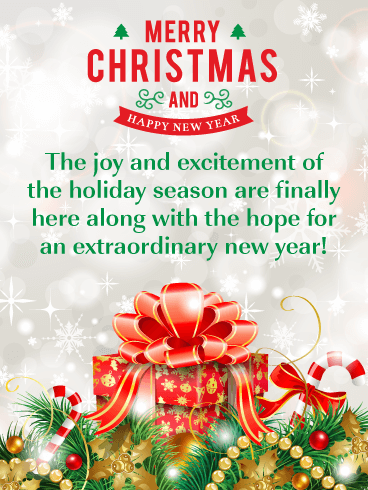 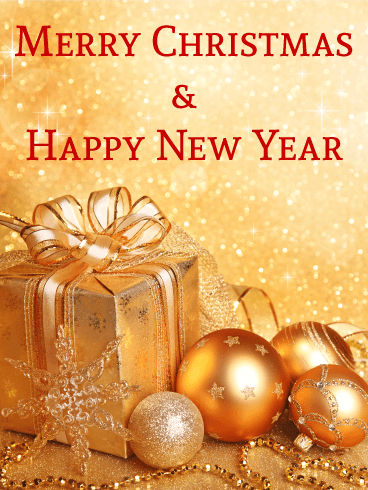 Send this cheerful holiday card out today to wish someone a Merry Christmas and Happy New Year! 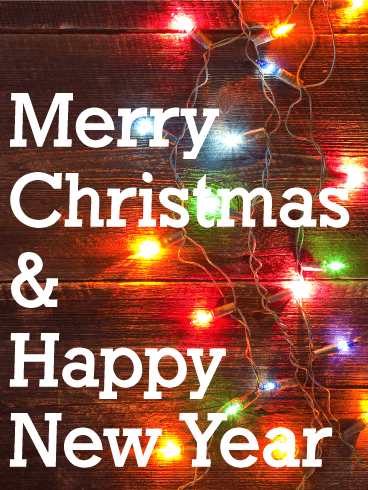 When the twinkle lights come out, you know Christmas is right around the corner! 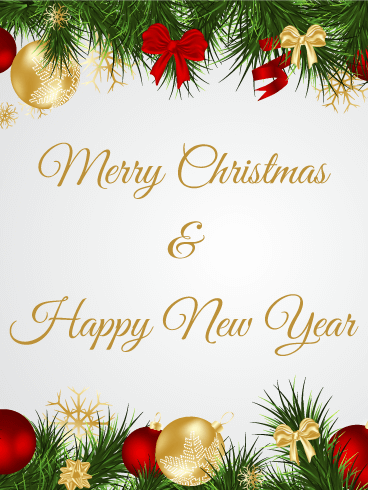 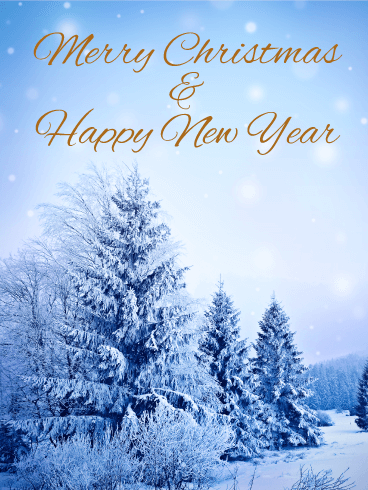 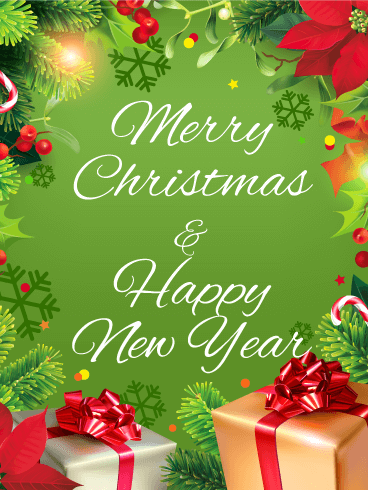 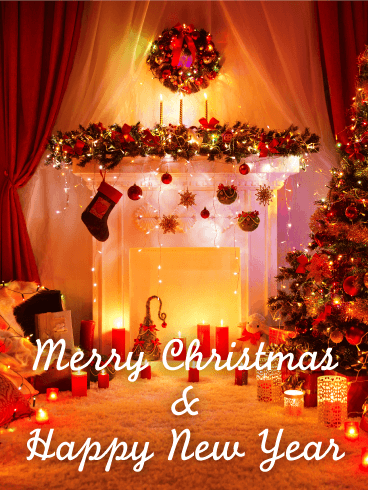 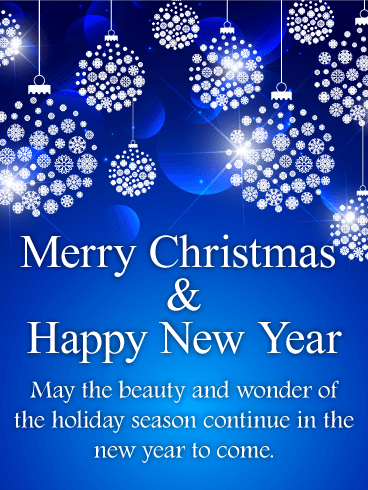 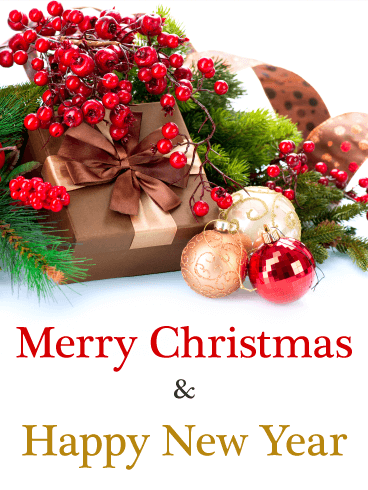 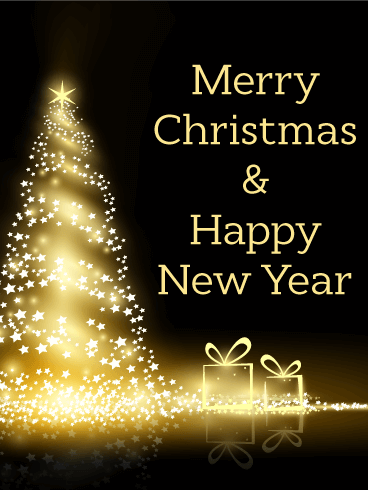 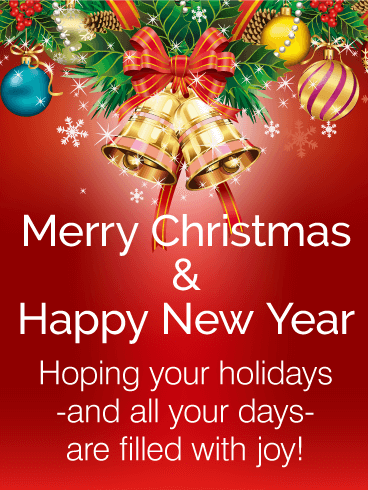 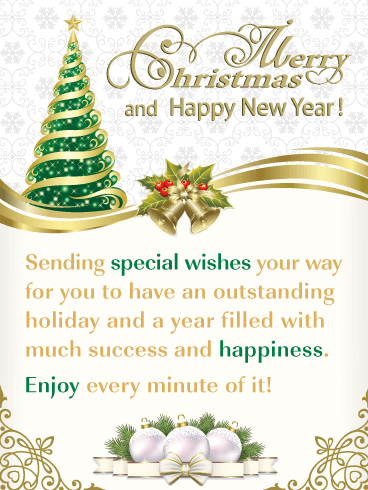 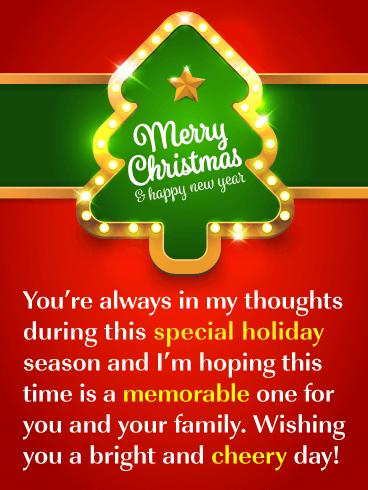 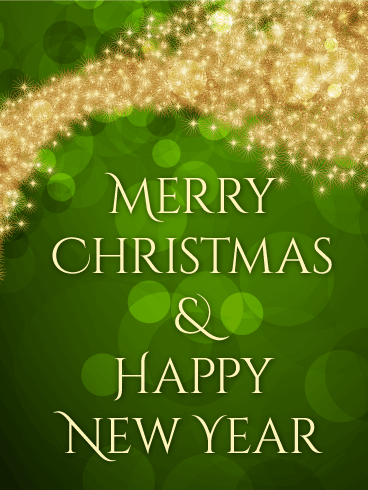 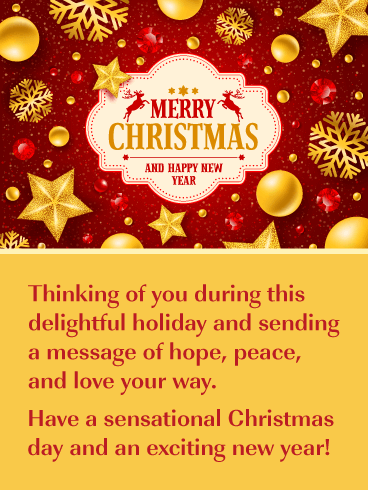 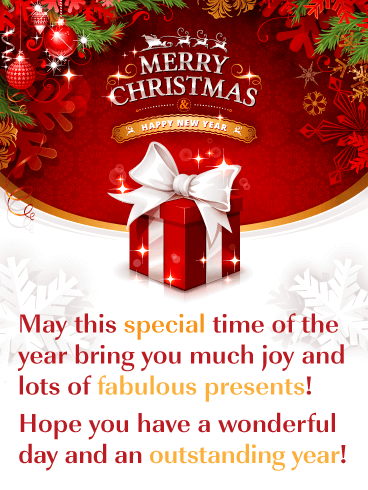 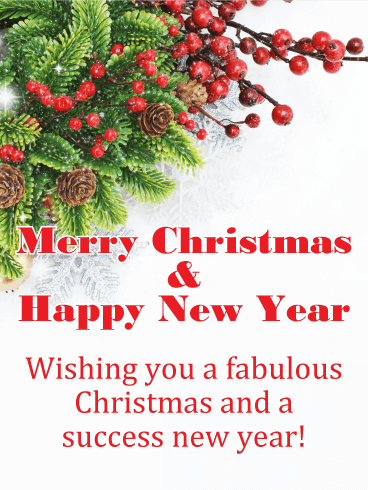 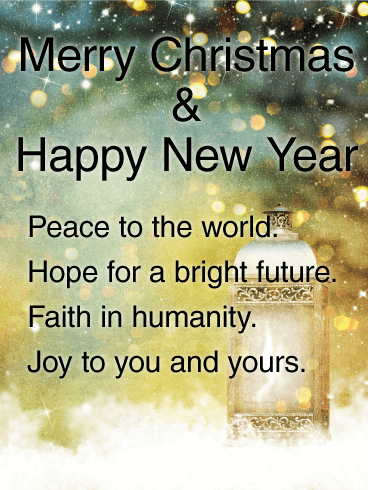 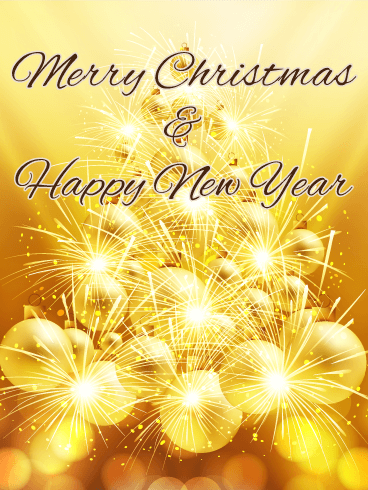 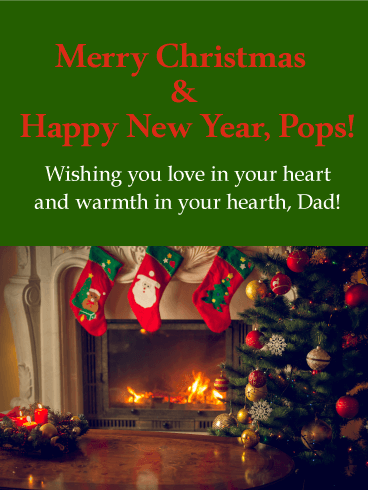 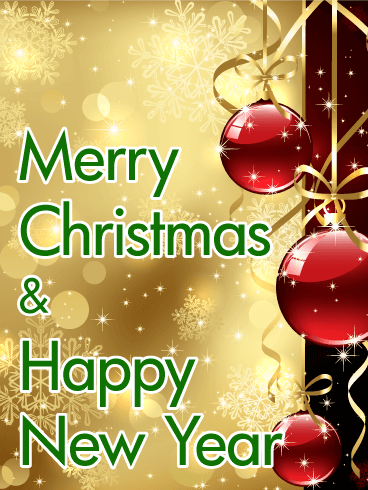 Wish a very merry Christmas and a happy New Year this holiday season with this warm and bright greeting card. 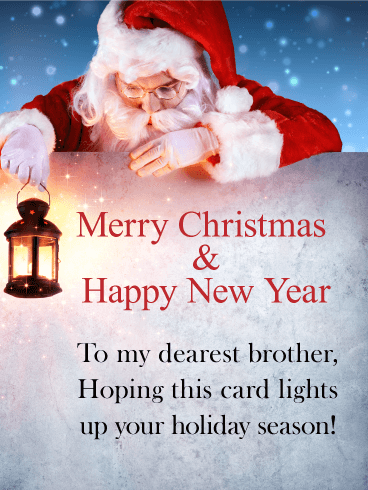 The colorful Christmas bulbs light up the card and the rustic wood background. 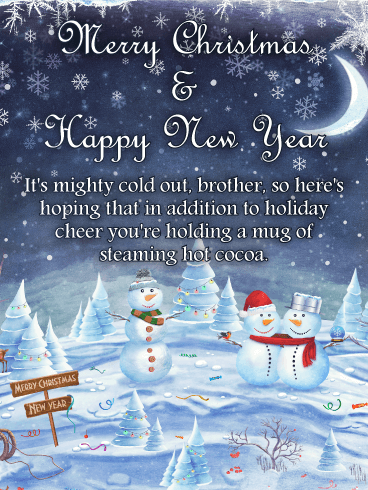 It's a cozy Christmas and New Year card that you can send now for a perfect way to spread Christmas cheer.